Coarse solids can clog the sewage transport system especially around buildings and real estate development. The consequence: breakdowns and increased service costs. 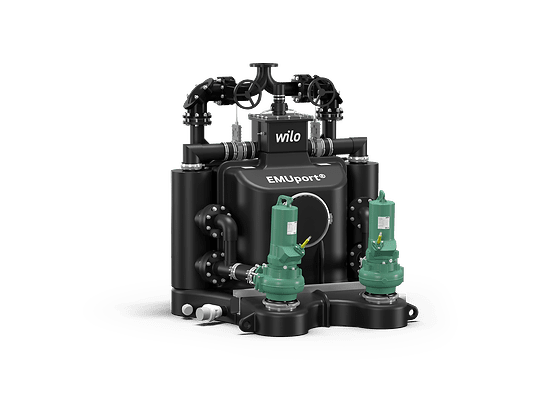 Wilo’s durable solution: the solids separation system Wilo-EMUport CORE. It provides the best operational reliability for clog-free transport. Moreover, it provides easy maintenance thanks to its hygienic dry well installation and easy access from outside. 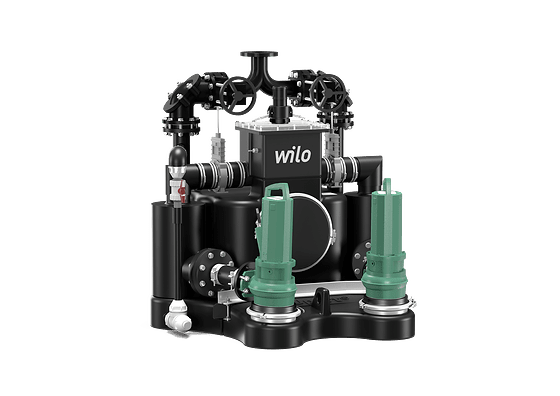 The complete system including a corrosion-free pump chamber and switching systems is also available for larger Wilo units. Tailored exactly to your requirements. 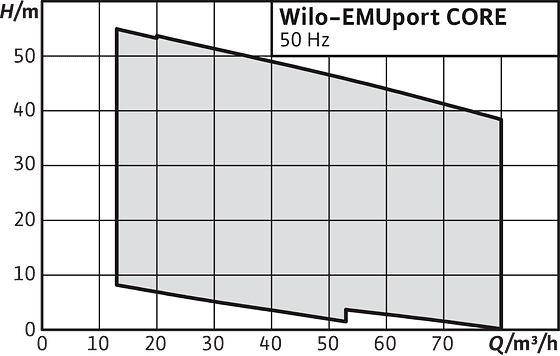 Wilo-EMUport CORE - Separate and transport solid substances. Clean, safe and reliable. Growing solid content in sewage is creating great challenges in the context of drainage of entire localities, but also public buildings such as hotels and airports hospitals. The technological and economical solution: Wilo-EMUport CORE. The innovative solids separation system offers the optimum operational reliability and guarantees reliable transport of sewage. 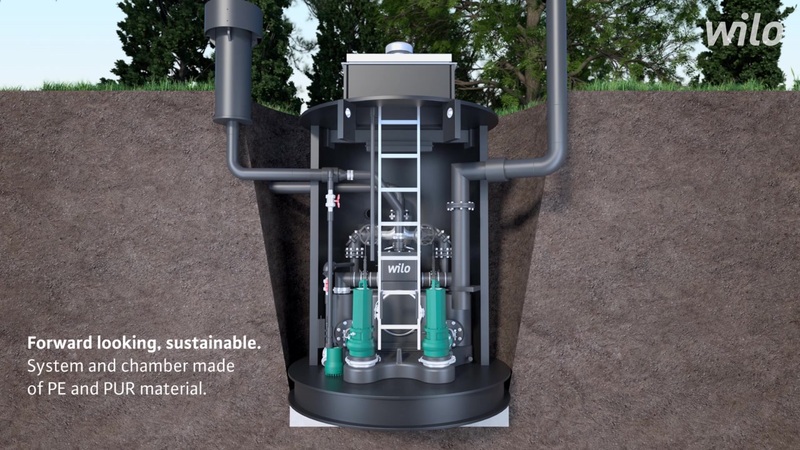 The solids separation system proves to be a future-proof system solution thanks to the separation of solids from the sewage. The product also ensures reliable operation with an increasing solid content. Sewage pump failures are frequently caused by coarse solid material. 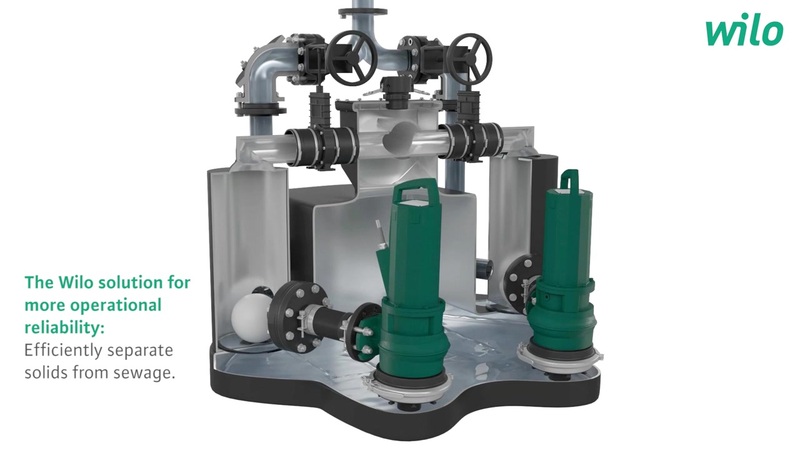 The solids separation system from Wilo separates this material in the sewage, which means that large solids no longer have to pass through the pump. 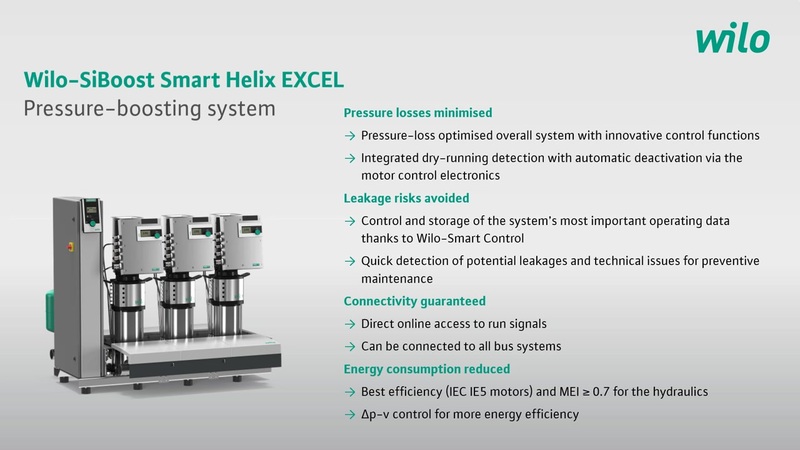 Maximum operational reliability and efficiency are combined in the system to ensure trouble-free operation. The fully submersible system (IP68) continues to run smoothly even in the event of water ingress. Wilo solids separation systems are characterised by their extremely easy maintenance. 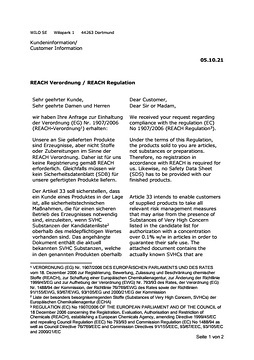 Thanks to the hygienic dry well installation, the system components only come into contact with the fluid internally. Easy and convenient accessibility is thereby ensured for maintenance work. The transparent inlet box cover enables a simple visual inspection of the system. Quick-release connectors on the cleaning opening as well as the pump connections save both time and money during maintenance procedures. Standard sewage lifting unit with solids separation system in accordance with DIN EN 12050-1 for installation in a building or in a pump chamber for outdoor installation. Pumping of untreated sewage that cannot be returned to the sewer system using natural falls, and for the draining of objects that are below the backflow level (according to DIN EN 12056/ DIN 1986-100). Installation-ready sewage lifting unit is completely pre-assembled including Y-piece, level sensor and two pumps. Fully submersible sewage lifting unit ready for connection with solids separation. All-in-one gastight and watertight collection reservoir without constructive welded joints, as well as two separately-lockable solids separation reservoirs. The collection reservoir has rounded edges, the tank bottom is bevelled, the deepest point is located directly below the pump. This prevents deposits and the drying of solids at critical points. 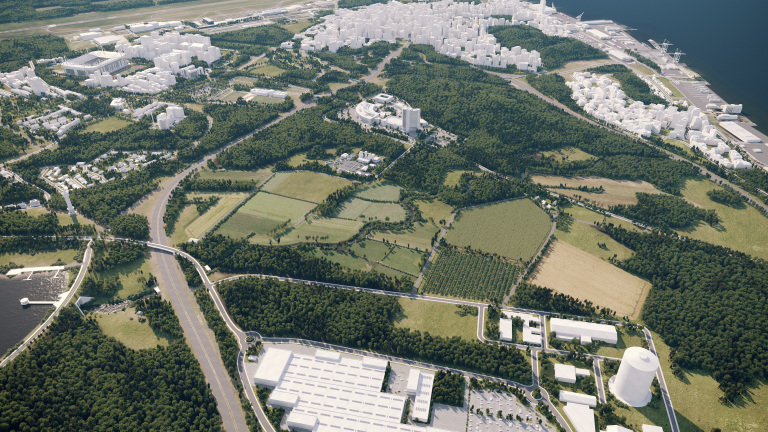 With pre-filtering in the solids separation reservoirs, the solids are filtered from the fluid and only pre-filtered sewage is directed to the collection reservoir. Pumping is performed by two high-performance submersible sewage pumps in dry well installation. The pumps are designed as a redundant double-pump system and run in alternating operation. The level is controlled by a level probe 0... 2.5 mWS. Version “B” is also equipped with automatic back-flushing to the collection reservoir to enhance the cleaning effect. The corresponding switchgear of the SC-L series is available as an accessory.